If you’re looking for a high energy fun-filled activity, Laser Tag has got to be on your list of must-dos. Challenge your family and friends to a thrilling game in the dark and see who can score the most points. 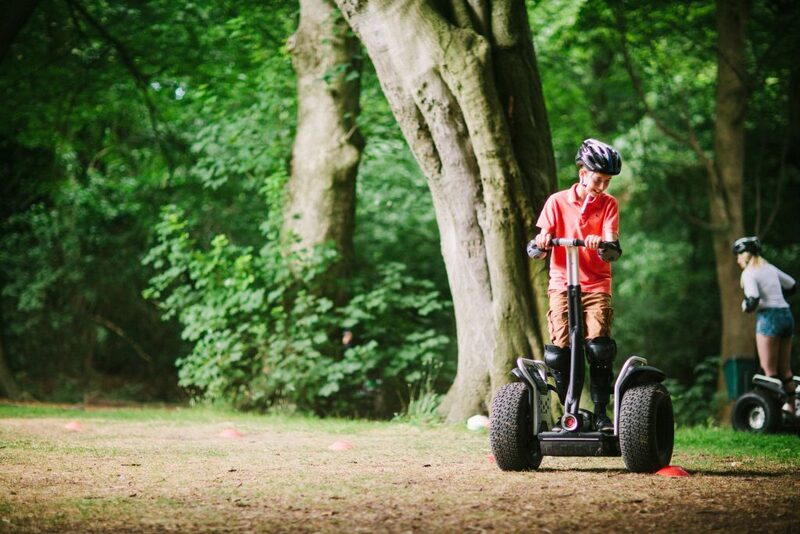 Don’t miss the Segway Rally Experience – an exciting adventure through the woodland on these revolutionary machines. You’ll pass The Island where you can take aim at the Archery Range, hire a boat, bike and enjoy a game of Championship Golf. 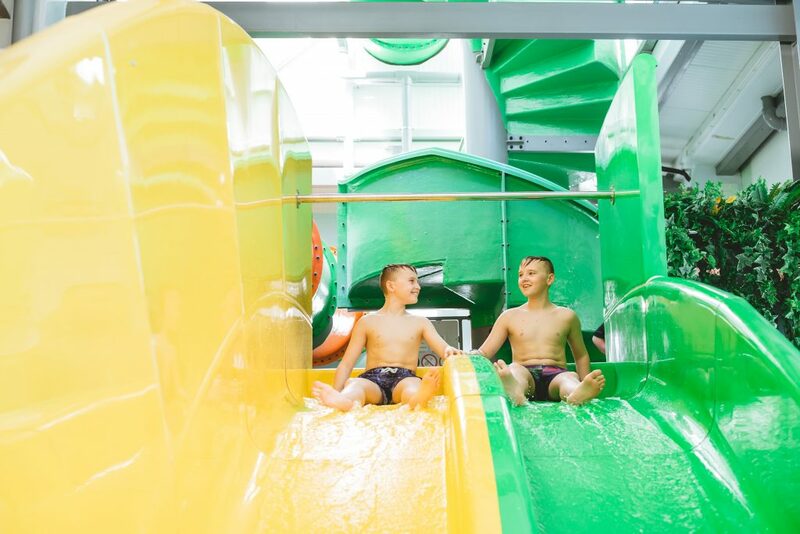 Head over to The Health Club for a game of tennis and enjoy our NEW Leisure Pool, with hot tubs, racer slides and a fantastic interactive slide – select your music track and compete at a high speed reaction game on the way down, hitting as many targets as you can! There’s so many choices when it comes to dining at Ribby Hall Village. Relax with a coffee and a snack in Starbucks, grab a takeaway pizza from Papa John’s or enjoy a meal with the family in The Tapas Bar & Restaurant. Got a sweet tooth? The Tea Room is the place for delicious cakes and treats or choose The Bar & Grill for burger and fries while you watch the football on the big screens. So much to choose from! The Bar & Grill is THE place to be in the evening. Relax and meet new friends in the lounge area with pool tables, comfy sofas and of course, FREE WIFI (available across The Village!). 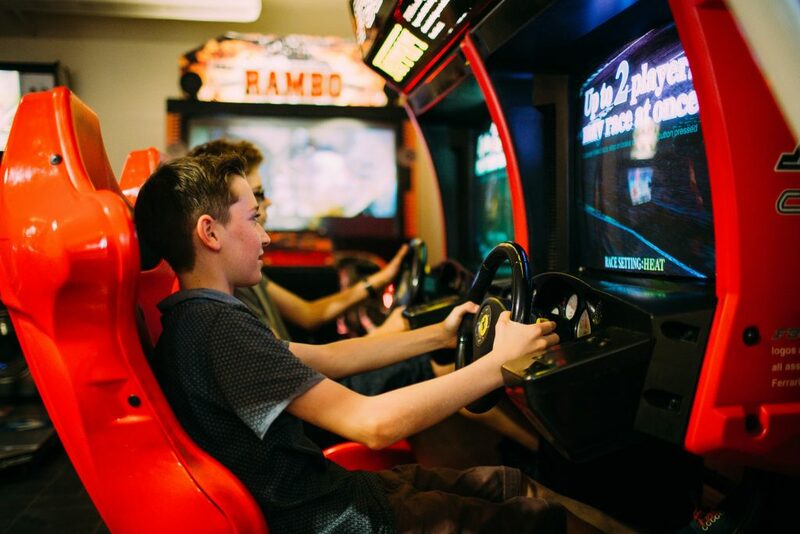 There’s an impressive Arcade too with the latest interactive games to challenge friends with. You won’t want to leave. Ribby Hall Village is only 15 minutes from Blackpool with it’s world-famous attractions and beaches. 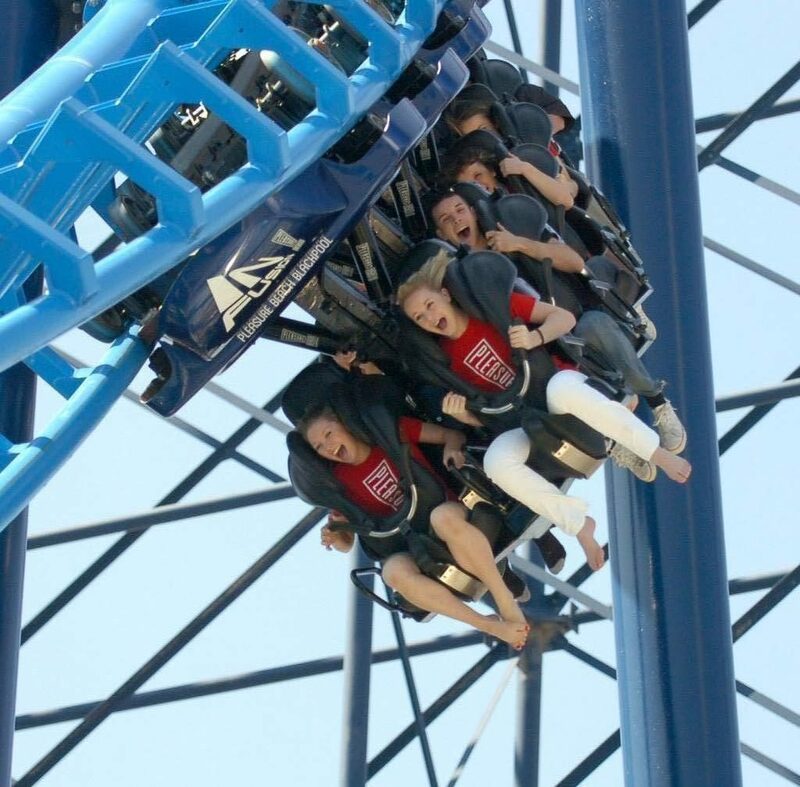 Don’t miss Blackpool Pleasure Beach for a thrilling day out – with rides like The Big One, Valhalla and The Big Dipper, it’s a thrill-seekers dream! Another popular Blackpool attraction is The Blackpool Tower Dungeon; an amazing experience you won’t forget in a hurry! Ribby Hall Village guests can purchase discounted tickets to Blackpool Pleasure Beach and many other local attractions. Just ask at Holiday Guest Reception for details. There’s so much to do for teens at Ribby Hall Village! Over 100 acres to explore, amazing on-site indoor and outdoor activities, award-winning dining and endless entertainment. The promise of an unforgettable holiday! Time to tell the parents you need to start planning the perfect UK short break at Lancashire’s only 5 star holiday village!